Until Phish's recent reunion, there was no other jam band in the world that could compare to Widespread Panic. Two of their shows are never a like, with the setlist just a loose framework around which the band hang their infamous spiralling jams, playing everything from jazz fusion to Skynyrd-esque southern rock. They also keep a master list of all the songs they've played on tour, which they consult midway through a concert to check that they're not repeating themselves. Their status has been cemented by the thousands upon thousands of taped shows that are traded by their fans, a form of bootlegging that the band encourages. The band's last studio album arrived in 2010 with Dirty Side Down, and they entered into a brief hiatus a couple of years ago, but now they're firmly back on the road, dazzling audiences with their unbelievable improvisation and virtuosity. 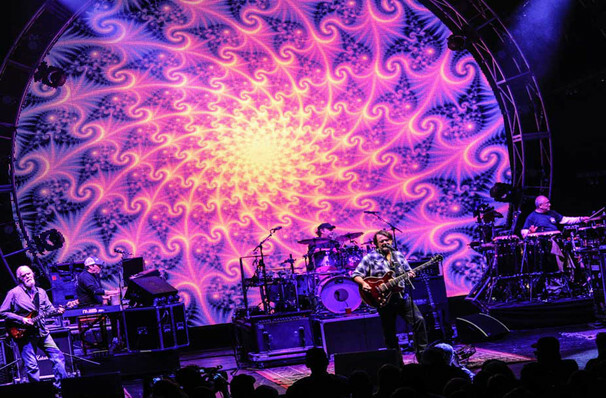 To experience Widespread Panic for real, you have to see them live. Sound good to you? 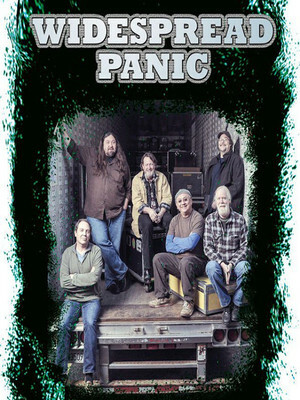 Share this page on social media and let your friends know about Widespread Panic at Durham Performing Arts Center. Please note: The term Durham Performing Arts Center and/or Widespread Panic as well as all associated graphics, logos, and/or other trademarks, tradenames or copyrights are the property of the Durham Performing Arts Center and/or Widespread Panic and are used herein for factual descriptive purposes only. We are in no way associated with or authorized by the Durham Performing Arts Center and/or Widespread Panic and neither that entity nor any of its affiliates have licensed or endorsed us to sell tickets, goods and or services in conjunction with their events.